“Rodanthi” traditional guesthouse is situated in Kastellos village in Apokoronas region. Kastellos is a picturesque, traditional, semi-mountainous village at the feet of Goniotikes Madares (a branch of Leuka Ori), built on top of Kastellos hill at an altitude of 210 meters and at a distance of 46 kilometers from Chania city, the capital of Chania prefecture. The village, due to its high altitude offers a panoramic view of the surrounding mountains and the sea (at Georgioupolis bay and Kavros-Petres beach). 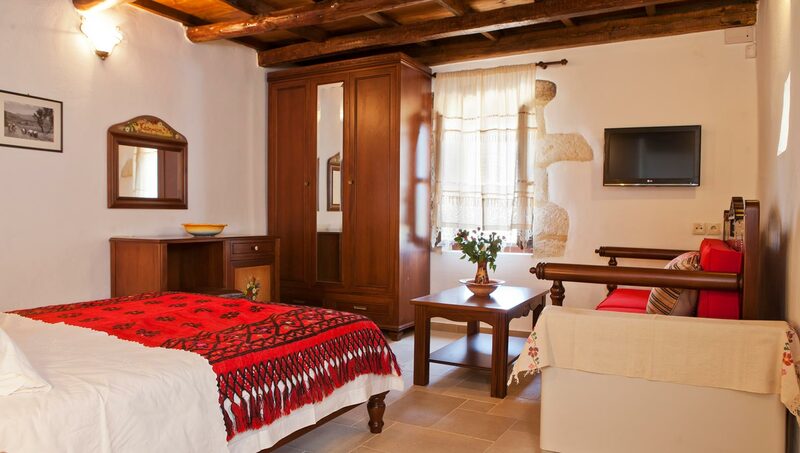 The guesthouse is a restored 1929 house, built in three levels-floors and can accommodate twelve people in four rooms; “Danae”, “Aegean”, “Dimitra”, and “Renaissance”. It has a large lounge with a fireplace, an office, a library and a fully-equipped kitchen. In the outside, gardens with aromatic plants, lawn and flowers surround the building. It also has a wood-fired oven, a barbeque as well as a private parking space. 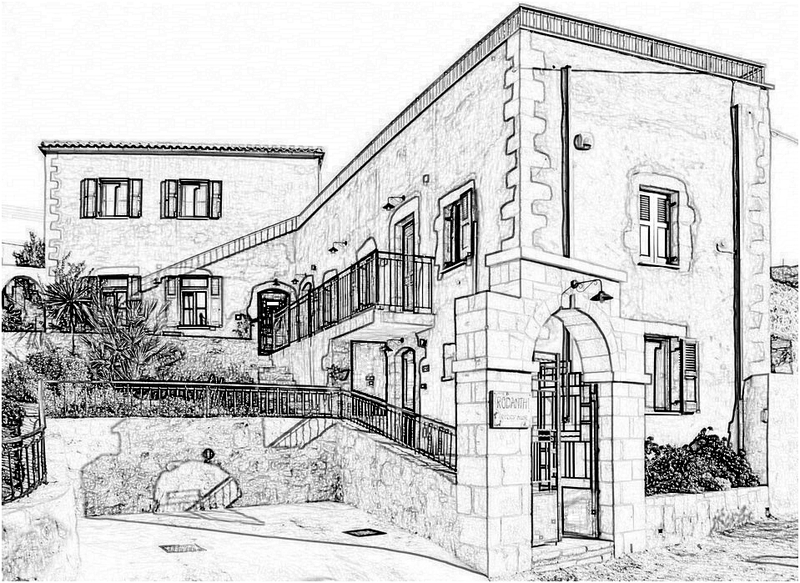 The building has a large, 80 m2 terrace-balcony offering a magnificent mountain and sea view and a 40 m2 heated pool which can become your personal space for rest and relaxation. The old house exclusively built out of wood and stone blends in harmony with the new additions of all the modern comforts, such as flat screen TVs with USB ports in all of the rooms, satellite internet, inner and outer alarm systems, DVD-USB payers etc. The natural sounds of the Cretan nature, the light, the magnificent view, the ability to stroll around (Kournas Lake, Argyroupolis, Koumares Forest, Church of Agios Antonios situated in the mountain etc.) as well as the comfort, the traditional look and feel and the luxury of the guesthouse can guarantee days of peace, tranquility, rest and calm.